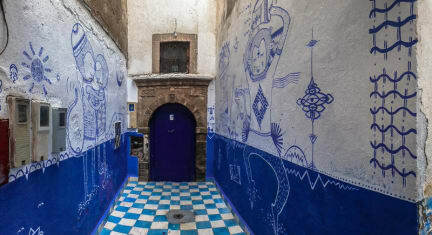 The Chill Art kohteessa Essaouira, Marokko: Varaa nyt! One of the best hostels I’ve ever visited. The warm atmosphere made us feel home and the staff was taking good care of us. The place is beautiful. If you are not afraid of a late rythm (chill music playing quite late and the lovely breakfast was served at 10am), I highly recommend this place for anyone. Even the quests were super nice. Suits for less experienced hostel visiters too. Just love! This place has nice wibe's ! Location is great but before lights are turnd on it has small unsafety feeling walking the alley. 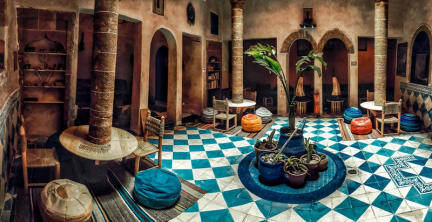 Best hostell in essaouira!